Abbey Drives has more than 22 years expertise in designing and installing top quality pattern imprinted concrete patios and drives. If you wish to see high quality images of completed projects, please visit the gallery by clicking here. 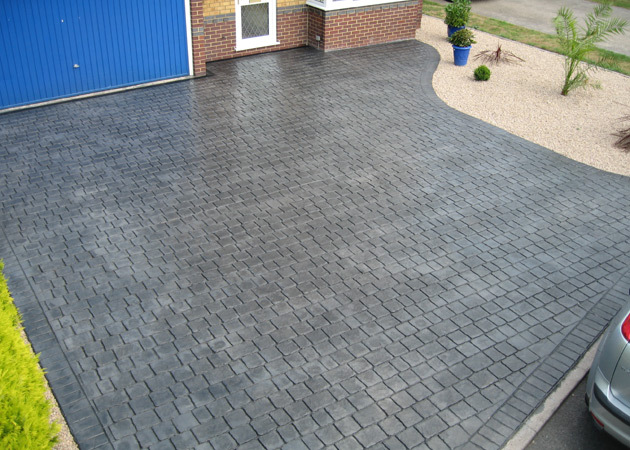 Having made a decision to replace your driveway that has been insitu for years but is now looking rather tired, you will now need to select the type of material that is to be used to create that new look. Nowadays, an increasing number of bosscrete driveways are being built. 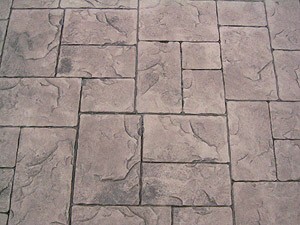 What are the benefits of a bosscrete driveway? 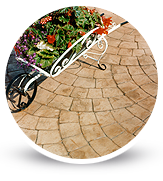 Quick to install – due to the drive manufacturing process this sort of driveway can be laid rapidly causing you little inconvenience. Inexpensive – it is keenly priced so appeals to people with varying budgets. Executive appearance – it looks incredible and would not be out of place outside a country mansion or a terraced property on an estate. Various colours and patterns – this enables you to let your imagination run wild if you so wish as you could have a driveway using more than one colour and pattern, Equally, you could stick to one colour and pattern. The choice is yours. Virtually maintenance free – with no weeds to worry about nor stains to try to remove with any difficulty your drive will look as good as new for years to come. Adds value – you should find the value of your home increase. Being a family business, we take great pride in the quality of our workmanship and products as well as the level of service we provide. Every member of our staff share these values. Unlike some of our competitors, we do not use sub-contractors. These are probably some of the reasons why an ever-increasing amount of enquiries that we receive come from people that have been recommended to us from satisfied clients. So, if you live in or around Nottingham and want a unique bosscrete driveway designed and installed with precision that your neighbours will be envious of, why not get in touch with Abbey Drives. We will arrange to visit you at home to discuss your requirements and help create a beautifully designed drive. Copyright © 2018 by Abbey Driveways Nottingham. All Rights Reserved.